Home » Health » What Is Escherichia Coli? Escherichia Coli or E. Coli is a bacterium commonly found in the human intestine. These bacteria consist of several types and most of them are harmless. That means that only a handful of types of E. Coli bacteria can harm health. One of the dangerous E. coli bacteria is E. coli O157: H7. These bacteria can cause food poisoning and infections that are quite serious. E. coli O157: H7 can produce poisons that can damage the walls of the small intestine and cause stomach cramps, diarrhea mixed with blood, and vomiting. Contaminated food. The most common way for someone to be infected with coli bacteria is through food that has been contaminated with this bacteria. For example, the result of consuming ground meat contaminated with E. coli bacteria from the intestines of the livestock, drinking unpasteurized milk, or eating raw vegetables or not processed properly. Cross contamination can also cause a person to get an infection, especially if the food equipment and cutting board are not properly washed before use. Contaminated IR. Human and animal manure can contaminate groundwater and also surface water. Houses with private wells are at high risk of being contaminated with coli bacteria because they usually do not have a bacterial exterminator system, including swimming pools or lakes. Direct contact from person to person. Adults and children who forget to wash their hands after defecating can transmit this bacteria when the person touches someone else or food. Contact with animals. People who work with animals (for example at zoos) or who often come into contact with pets, are more at risk of developing E. coli bacteria . For this reason, cleanliness must always be maintained by frequent hand washing after making contact with the animal. Age . 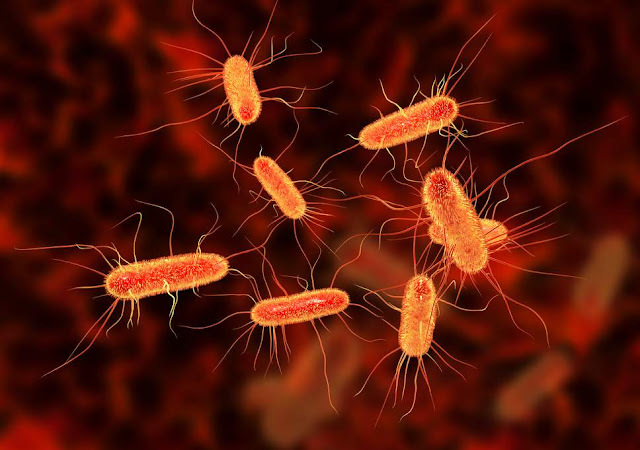 Children, pregnant women, and elderly people are vulnerable to suffer from coli -related diseases and more serious complications from these bacteria. Weakened immune system . People with AIDS or people who are undergoing chemotherapy will be more at risk for coli infection. Decreased acidity in the stomach . Acid produced by the stomach can provide protection against coli bacteria. Some gastric acid relievers such as esomeprazole, pantoprazole, lansoprazole , and omeprazole have the potential to increase the risk of E. coli infection. Are You Know : What Is Diabetes Gestational? Diarrhea, with mild to severe severity, and even bleeding. Diarrhea that does not show signs of improvement after five days in adults, or for two days in infants and children. Vomiting for more than 12 hours. If it occurs in infants under the age of three months, immediately see a pediatrician. The appearance of symptoms of dehydration, such as the amount of urine decreases, feels very thirsty, or consciousness decreases. Cannot maintain fluid in the body. Abdominal pain does not disappear after defecation. Having intestinal infections after traveling abroad. Stool mixed with pus or blood. To diagnose an infection with E. coli bacteria and related poisons in the patient's body, the doctor will carry out laboratory tests through stool samples. Treatment will be recommended according to the conditions experienced. For those who have mild infections, treatment can be done at home by consuming enough water, fruit juice, or clear soda drinks to prevent dehydration. Avoid apple juice, pears, coffee and alcoholic beverages during the recovery process. In addition, consume gravy or mild food when symptoms are still felt, followed by low-fiber foods such as eggs, rice, or bread when conditions start to improve. Avoid foods that contain milk, fat, high fiber, or spicy foods so that the symptoms don't get worse. E. coli infections , both in the bladder (cystitis) and gastrointestinal tract, usually do not need antibiotics. Patients only need to consume large amounts of water to replace fluids lost due to diarrhea and vomiting, and take adequate rest. To overcome dehydration in children who have diarrhea, ORS can help restore fluid in their bodies. In addition, ORS also functions to replace sodium, potassium, and also glucose lost from the body. Do not give antidiarrheal drugs that can slow down the digestive system because this drug will prevent wasting toxins out of the body. If the E. coli infection occurs quite seriously and causes uremic hemolytic syndrome, patients usually need to get intensive care at the hospital. Although rare, patients with E. coli infection have the potential to experience complications called the hemolytic uremic syndrome (HUS). This syndrome can trigger kidney failure and endanger life if not treated immediately. In addition, children are generally more susceptible to complications due to their inability to survive when lack of fluids and blood that comes out through vomiting and diarrhea. Wash hands after touching animals or working in an environment with lots of animals. Wash hands thoroughly before cooking, serving, or eating food. Wash vegetables and fruit thoroughly before consumption. Avoid cross contamination by separating clean and dirty cooking and eating utensils. Keep raw meat from cooked food and other clean objects. Put the remaining food into the refrigerator so that it doesn't get infected with bacteria. Avoid consuming raw or unpasteurized milk. Do not prepare or cook food if you are diarrhea. Wash your hands frequently, especially after leaving the toilet. Do not drink water from the pool. 0 Response to "What Is Escherichia Coli?"